First, make the Oat Bran Bread Crumbs. You can find the recipe here. Place bread crumbs in a separate bowl. 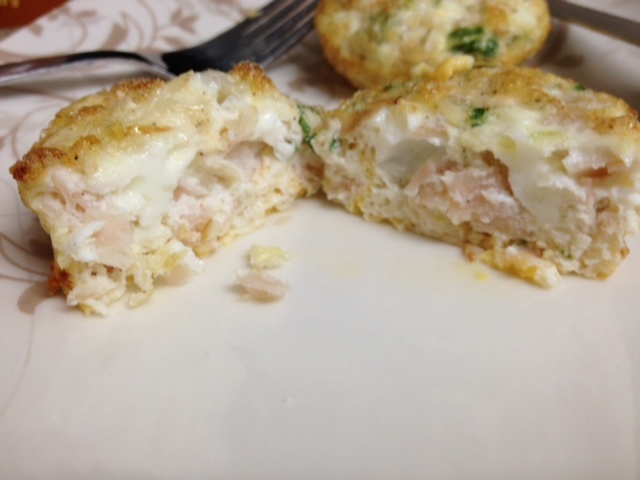 Dip chicken breasts in egg mixture and coat with bread crumbs. Heat skillet on medium-high with cooking spray. Brown both sides of chicken breasts. Place chicken on greased baking sheet and lightly top with cooking spray. Bake in oven for 10-15 minutes to finish cooking. Meanwhile, heat diced tomatoes in a sauce pan. Remove chicken from oven, top with tomatoes and parmesan cheese. 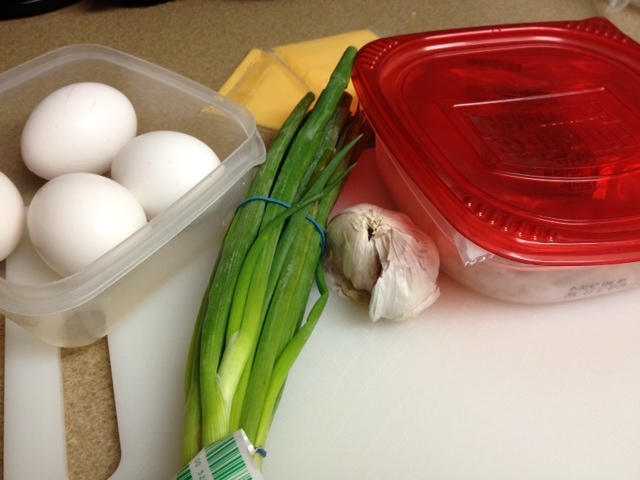 Combine all ingredients in a bowl & mix together. 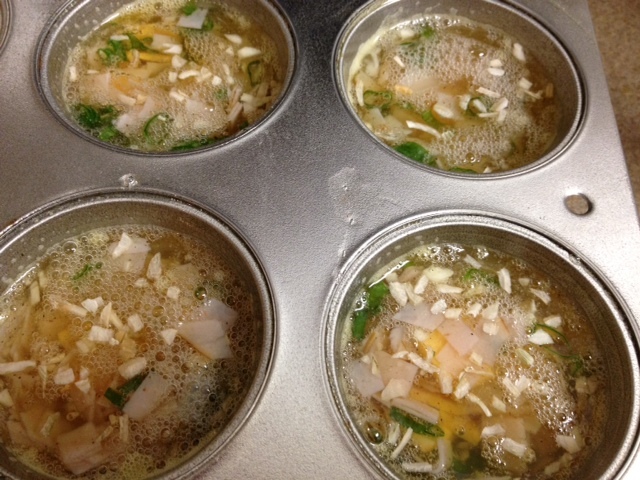 Divide & pour egg-white mix into four muffin cups. Remove egg-white bakes onto a plate to cool. Combine & whisk all ingredients together, except for the last two. Heat a skillet on medium with cooking spray. Pour about 1/4 of batter into skillet and tilt to form a round, thin crepe-like circle. Brown both sides of the crepes and set aside. Continue the process until all of the batter is used. Place crepes on a cooking sheet with cooking spray and toast until crispy. Once out of the oven, allow crepes to cool. Roughly shred the crepes to fit into a food processor or blender. Process to a breadcrumb consistency. Add parmesan cheese to the breadcrumb mixture. 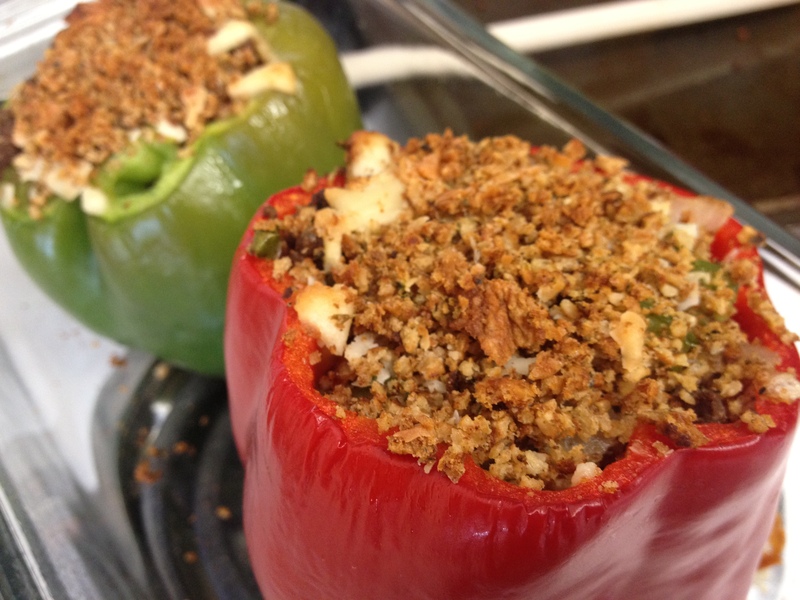 Try it with bell peppers! Cut off tops of tomatoes and use spoon to clean out the insides. Heat skillet on medium with cooking spray. Add diced bell peppers and onions & saute until slightly tender. Set vegetable mixture aside & brown the ground beef. Add salt, pepper, & italian-herb seasoning. Combine vegetables, ground beef, & 1-2 hand full of breadcrumbs. Lightly spray baking dish with cooking spray. 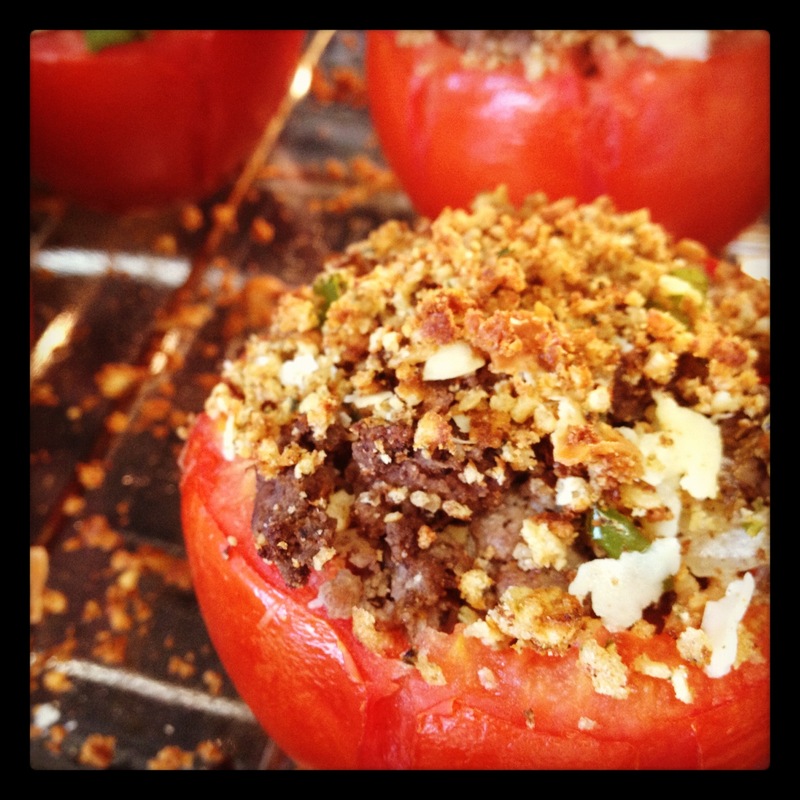 Stuff tomatoes with ground beef mix and top with breadcrumbs. Place tomatoes in baking dish and lightly spray tops with cooking spray.